What exactly is a chatbot and how can it benefit your day to day workflow? To put it in perspective, a chatbot is a computer program that can mimic conversation, via text or voice. It’s like Siri and Alexa – names I’m sure you’re familiar with. While Siri and Alexa have different capabilities compared to a chatbot, they’re all powered by AI technology and machine learning. Despite their robust capabilities, they have one overarching goal – to serve your needs while placing time back into your day. As a recruiter working for a fast-paced talent acquisition team that might be short on time and resources, chatbots are here to ease the burden. Recruiters take on administrative tasks behind the scenes that take loads of time. With a Chatbot by your side, chatbots handle time-consuming tasks like notifying interested job seekers of open positions, scheduling interviews, screening candidates and pinpointing job seekers that don’t fit the job description. 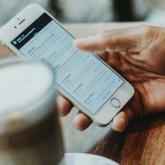 For instance, TextRecruit, an iCIMS company is a candidate engagement platform that uses Ari, their customizable AI recruiting assistant to help the recruiter collect candidate information, keep candidates informed and supports the interview process. Not only does a chatbot free up a recruiter's time but it enables the recruiter to focus on what truly matters - building relationships with strong candidates. Candidates, like consumers want to be fed information quickly and efficiently throughout the hiring process. Most candidates drop in the middle of the hiring process due to the lack of information shared with them. According to iCIMS data, communication is key - 76% of people say not hearing back from an employer after applying for a job is more frustrating than not hearing from someone after a first date. Having a chatbot that can answer simple questions about a job description, salary and/or the overall hiring process can not only decrease your candidate drop off rates, but it will remind the candidate that your organization cares about their time and experience. After all, 66 percent of candidates are comfortable interacting with chatbots during the hiring process - specifically, before their interview. Essentially, a chatbot serves as your 24/7 recruiter, allowing job seekers to ask questions and schedule calls with a recruiter at any time of the day – via phone or desktop. This gives your team the opportunity to keep that line of communication open at all hours, and it reminds job seekers that your organization values their candidates, months before receiving an offer. Improving the candidate experience with a chatbot will expand talent pools with quality candidates which enables a recruiter to find top talent, faster. Unlike email marketing, candidates don’t have to take the time to fill out a form to opt in. With a chatbot that provides a "human touch" to their experience, recruiters can automatically collect their first and last name along with their time zone. Based off the questions your chatbot asks, you can gain insight into their preferences, motivators, frustrations and why they're job searching. You can even program your chatbot to encourage a candidate to apply to the job they skimmed through. With this information, you'll have the chance to gauge how effective your job descriptions are and the opportunity to shift your strategy to fill jobs faster. A 2017 Forrester survey had found that nearly three-quarters of service provider AI decision makers believed that 85 percent of customer interactions will be with software robots in five years' time. That said, chatbots are not a fad and they're here to stay. As chatbots begin to redefine recruitment, your organization needs to jump on this innovative wagon. Implementing AI technology into your talent acquisition strategy will save time, attract quality candidates and accelerate the hiring process for the candidate and the recruiter.